The Rock Physics Handbook addresses the relationships between geophysical observations and the underlying physical properties of rocks. It distills a vast quantity of background theory and laboratory results into a series of concise chapters that provide practical solutions to problems in geophysical data interpretation. This expanded second edition presents major new chapters on statistical rock physics and velocity-porosity-clay models for clastic sediments. Other new and expanded topics include anisotropic seismic signatures, borehole waves, models for fractured media, poroelastic models, and attenuation models. This new edition also provides an enhanced set of appendices with key empirical results, data tables, and an atlas of reservoir rock properties - extended to include carbonates, clays, gas hydrates, and heavy oils. 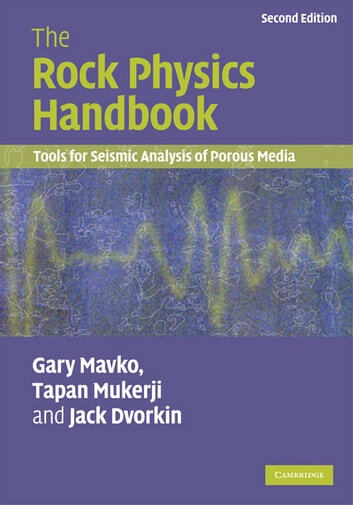 Supported by a website hosting MATLAB® routines for implementing the various rock physics formulas, this book is a vital resource for advanced students and university faculty, as well as petroleum industry geophysicists and engineers.